Developped in 1912 at MacDonald College, it remains the most common variety grown in our fields today. Originally used to feed livestock and farm animals, humans also like its taste. Enjoys cold climate and can resist low temperatures. Fall crops taste sweeter after frost. 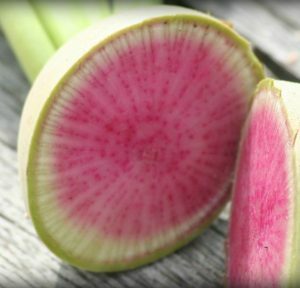 On the outside, with its pale white skin, this ball-shaped radish looks boring. But inside awaits a splash of pink-colored flesh, truly like a watermelon. Crisp and sweet taste, milder than many radishes. It is better to peel the hard skin. Ideal for carpaccio, can be eaten raw, roasted or stewed. Great if you wish to cause a sensation or want the children to discover radishes ! This Chinese heirloom is of the daikon type. Beautiful golden-orange skin with yellow striped flesh. Doesn't bleed and will not stain your fingers. Delicious sweet taste, raw or cooked, as you like it. Keeps its colour when cooked. All parts are edible, the buttery green leaves and yellow stems are almost as good as the gold root. Very easy to grow, only requires love. 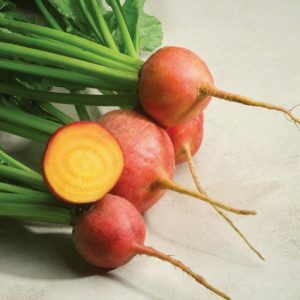 Named after the town of Chioggia in the Venetian Lagoon, this beet can be eaten raw or cooked. Delicious sweet taste and a pleasure for the eyes, with its distinctive concentric red and white stripes. Will loose some of its color once cooked, but is perfect for carpaccio. Leaves and stems are edible too. 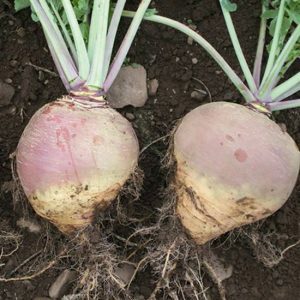 Developed in Italy before 1841, the Chioggia derives from another traditional variety, the Bassano beet, named after a town in the Veneto region. 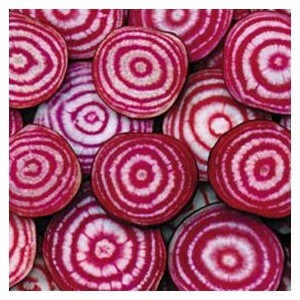 The Chioggia beet was introduced in the United States before 1865 and furthermore perfected by seed producers. As popular as it is easy to grow. Italian Heirloom. Tigernut, or earth almond, is a crop cultivated for its edible tubers. The small roots have an almond or coconut taste. Also called yellow nutsedge, the plant is considered a pest in some regions. In Southern Ontario, farmers are desperately trying to get rid of the invasor, in vain. In Quebec, the winters are too cold, the plant dies and cannot reproduce. 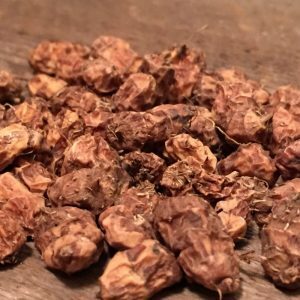 Tigernut is used in the preparation of a sweet, milk-like beverage, known in Spain as horchata de chufa. In Africa, it is common at local markets. People eat it as a snack, just like peanut or coconut. It is also used to produce oil, juice, and flour. It is one of the oldest plants grown in Ancient Egypt. Tigernut was probably an important food source at the time. For instance, during dynastic periods, it was used to make cakes. Black salsify or Spanish salsify is a vegetable cultivated for its long black skin taproot. The name Scorzonera derives from the Italian scorza (bark) and nera (black). As we can guess from its yellow flowers, the plant belongs to the Asteraceae family. The leaves are edible too and the flowers can be eaten before they open, like small broccolis. The white flesh root may be harvested during the first or second year. To give its full potential, the plant needs to develop with enough soil profundity. If you let it overwinter in the ground, even here in Quebec, the plant will produce flowers the following year. Once they are ripe, it will be time for you to harvest the seeds, but beware : birds, and especially goldfinch, love them! 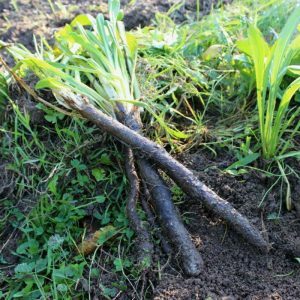 Black salsify is rich in carbohydrates, minerals and vitamins. Large stump-rooted carrot with a distinctive red-orange core. 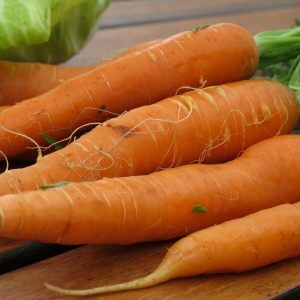 Short and sweet, resistant to diseases and good for growing in urban gardens. Originally from the Chantenay region of France, this heirloom variety was introduced in the United States at the end of the 19th Century.